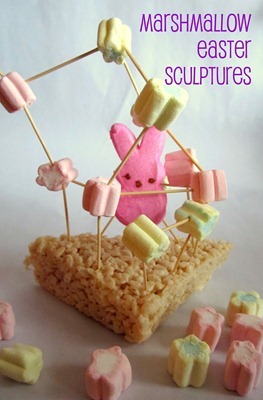 We have been loving the spring-like weather here in the Bay area (mixed with some other weird weather too) and we are so excited about even more spring and Easter projects to share with you over the next few weeks. This week for our round up, I thought we'd feature a few of my favorite spring-themed posts from last week's Kid's co-op link up. They are filled with my spring favorites- chicks, flowers, and bunnies! Aren't these awesome? Can you tell I was a bit hungry when I was looking through all of the ideas from last week? 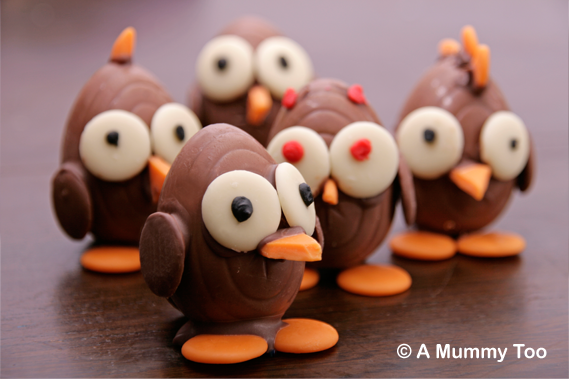 I am seriously a Cadbury fanatic, so I'm going to have to try these chocolate chicks. So many fabulous ideas were posted last week! I can't wait to see all the great ones that are shared this week! Come link up your creations! Thanks for featuring our spring art O'Keeffe flowers. My 2nd grader is SO proud of his work! He'll be very excited to see it here too. LOVE those Georgia O'Keefe flowers! And oh yum! Those treats look crazy good!